Here at Day One, we’ve developed elearning and training simulations to boost call centre performance at some of the best-known companies in the UK, helping them to deliver tangible improvements in customer service and hit their business targets. We’re lucky enough to have team members with a wealth of experience at all levels within UK and global contact centres, which is invaluable in helping to make our training content more effective, and our technology more helpful. Kim, David and Nathan alone have nearly four decades of combined call centre experience in roles that include Training Manager, Head of L&D, Instructional Designer, Digital Learning Programme Manager and Senior Operational Trainer. They also earned their stripes with years as call centre agents, so understand the challenges on the front line, in the boardroom and everywhere in between. We got them together to get their thoughts on the key metrics against which their performance and those of their teams were measured, what strategies they found worked well, and what could have been added / done differently to make their lives easier and their results better. Kim has over 15 years of experience as a call centre agent and trainer. She began her career with a well-known provider of insurance and Europe-wide breakdown cover, handling claims, sales and services calls, and later moved into trainer and training management roles. She also managed digital learning and contact centre training at a leading betting and gaming company. David has spent 18 years working at call centres within SMEs through to multinational consumer goods and telecommunications companies. He has held roles that include Technical Support Agent, Training Manager, Instructional Designer, and Senior Operational Trainer. He led teams based across multiple UK sites, as well as outsourced contact centres in India, South Africa and the Philippines. Nathan has been Head of L&D for the global contact centre estate of one of the ‘Big Four’ supermarkets. This included responsibility for over 40 global sites dealing with financial and non-food offers, such as Insurance and Mobile Phones. He looked after all Technical, Systems & Behavioural training, Graduate Schemes, Apprenticeships & Qualifications, Leadership Development & Progression, Appraisal training and Quality. He also helped to bring in a new CRM and developed the subsequent training that went with it. 1. What have have you found to be the most challenging aspects of call centre work and getting the best out of yourself and those you managed? Kim: At [the breakdown and insurance company] it was maintaining an excellent standard of training across multiple sites and a 24-hour operation. There were continuous changes, and we needed to ensure that all staff were kept up to date, including night-only staff and part-timers, and account for holiday / sickness. David: At [the consumer goods company] it was keeping up to speed with the rate of change. Due to the outsourcing there was a high attrition rate of agents, so we were doing back to back 3 week induction courses, coupled with travel across Europe to deliver ITIL training. With [the telecoms company] again it was keeping up to speed with the rate of change. They were a very young company at the time in terms of process, and were constantly updating processes and bringing in new technologies and systems. In the early years people did not really know about the Training team and what we did, so it was difficult to get people to engage with us. Nathan: The call centre environment can often encourage an excessive focus on speed metrics and not enough about customer, the experience or the brand. Staff then chase metrics rather than doing the right thing, and often there is little understanding why this approach can be so detrimental. It is a very easy way to manage people, but hugely demotivating for many front line staff and rarely drives the right behaviours. 2. What training tools and techniques did you find most effective in helping to maximise call centre agent performance? Nathan: Peer to peer learning was very effective – plenty of experiential workshops where information is pulled from staff rather than pushed. Use of film clips is also helpful to support an analogy and aid memory. As an L&D team we tried to get into at least the basics of psychology so we could grasp a bit about how the brain worked and then use that to our advantage. Very effective was spending the first part of induction on behaviours and soft skills before we even touched a system. We then moved on to what would be important information to know and use. From this base, the system training became much more intuitive as to what needed to be done and when. The CRM was designed to follow the call flow, so it became simpler to understand. We also spent time in induction helping new staff to understand the significance of their role – knowing Purpose is such a large part of motivation. Kim: In order to keep up with the rate of change and try to reducing escalating travel costs as a Training Manager, I attended a TAP course in Virtual Training. I then introduced the company’s first Virtual Training initiative, which helped greatly as we could combine people from multiple sites onto the same course. Plus it had the added bonus of being able to record the session which could be watched later on. David: At [telecoms company] we used a number of interactive software simulations that would be run in the classroom with a trainer on-site to support the agent understanding. I also built a number of emulators for key products, and systems that were used by the agents when they were on live calls and could talk a customer through a process. I changed from the old school classroom training of sit and listen to make the course more interactive and introducing gamification. The engagement with the agents was amazing, and I still get messages from some of them today who say they loved it and still remember the training. 3. What would you like to have seen changed or added, in terms of training or culture, to help improve overall customer service and call centre performance? Kim: You will never find a one size fits all, holy grail of training for call centres. The key is to be able to offer different options, such as software simulations or virtual training which can be customised to fit the audience, skill and demands of the call centre. The software simulations would have been fantastic at [the betting and gaming company] as we could not replicate some common queries in the system we were using. Nathan: I think it’s important to spend more time helping team leaders to understand the linked nature of metrics and the various trade offs (e.g. 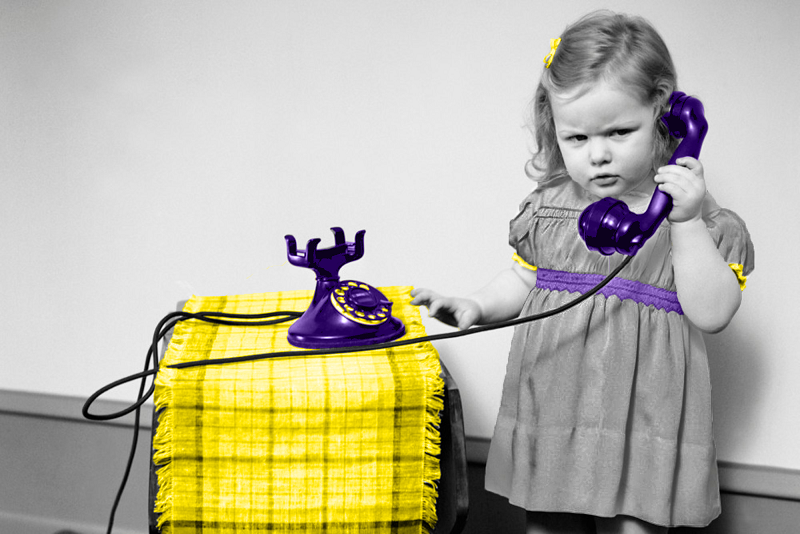 if you speed up call handle time, you often impact customer satisfaction levels). I think for L&D to really help maximise performance in contact centres, there needs to be strong representation at the ‘top table’. L&D should be with Head of Ops and WFM before any big decisions are made. In addition, L&D professionals should be paying as much attention to the site metrics as the Operations team. This way they can be proactive in their offering. If L&D spot trends and can create a compelling (and costed) business case for intervention they will have far more success, greater standing in the site and a have bigger impact on the business and brand. David: Companies shouldn’t be afraid to embrace change when it comes to training. I have seen so many companies who still favour classroom training with 100+ slide PowerPoint presentations, even though eLearning would be more efficient and probably much more cost effective. The eRoleplays would have been very useful for telecoms call centre training. Day One draws combines a strong foundation in learning psychology with the latest and best in elearning technology. We create scenario based training content and simulations that take call centre performance and results up a level. Learn more about our call centre training solutions or why not contact us for an informal chat about how we could help you too?